We hope you enjoy looking at our page. We will keep it updated with what we are learning in class and how you can help your children learn at home! Mrs Richardson, Miss Wright, Mrs Mesjasz and Miss Kinsley have really enjoyed being the first to welcome your children to St Thomas of Canterbury school. Parents should be very proud; the children have really settled into their new school and classroom and have learnt our routines very quickly! 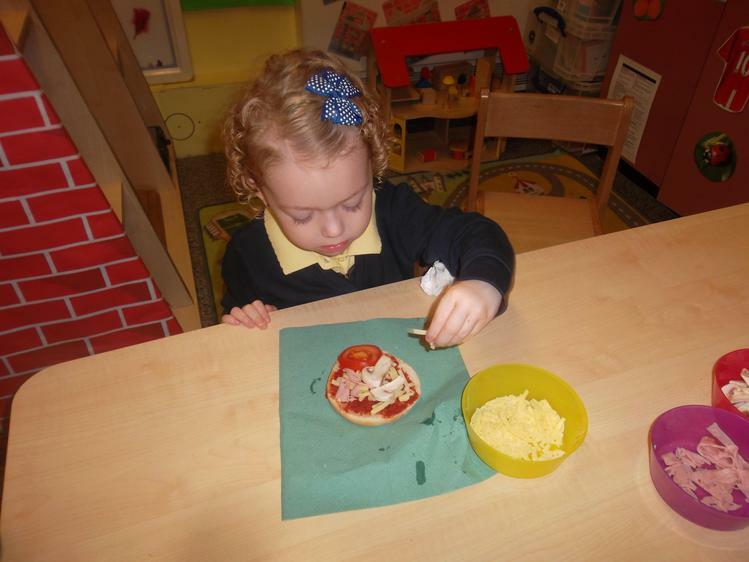 Our first topic was 'Nursery Rhymes'. We loved singing all the traditional songs and learning some new versions like 'Baa Baa Rainbow Sheep' and 'I have a little turtle'. Our favourites were 'The Wheels on the Bus' and 'One Little Finger'. The Wheels On The Bus plus 21 one more super fun, super simple songs for toddlers, preschoolers, and early elementary. We enjoyed lots of stories, especially ones with repetitive language so we could join in! 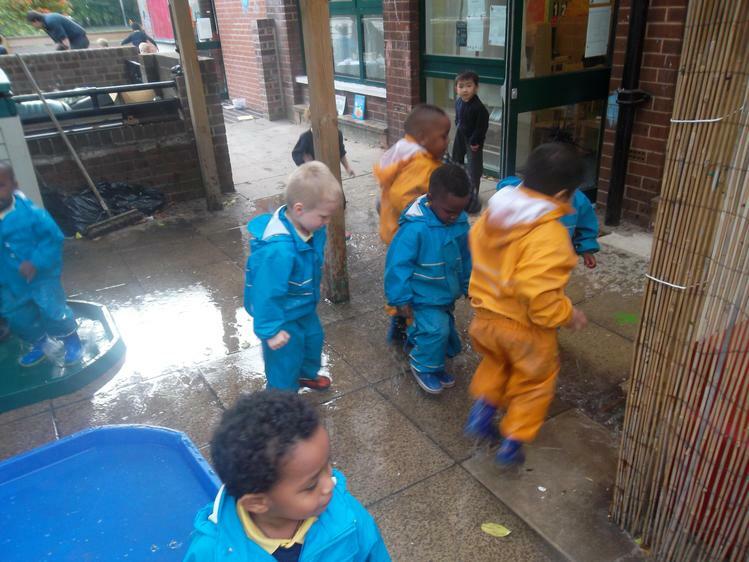 'We're Going on a Bear Hunt' and 'The Three Little Pigs' were particular favourites and we even acted out being the Three Little Pigs and the Big Bad Wolf. We built the straw, sticks and brick house outside and climbed in pretending to be the pigs. We made masks and even made a patchwork quilt which you can see on display in the main hall in school. A fun way to re-tell the story of the Bear Hunt! 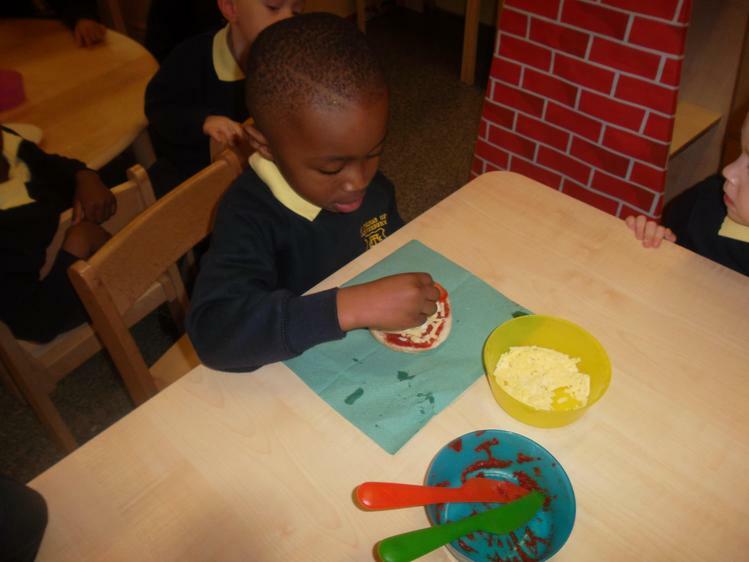 Starting school we have enjoyed knowing the boundaries and getting smiley stampers for doing the right thing! The children have learnt about our class Golden Rules and are great at reminding their friends to follow them too! 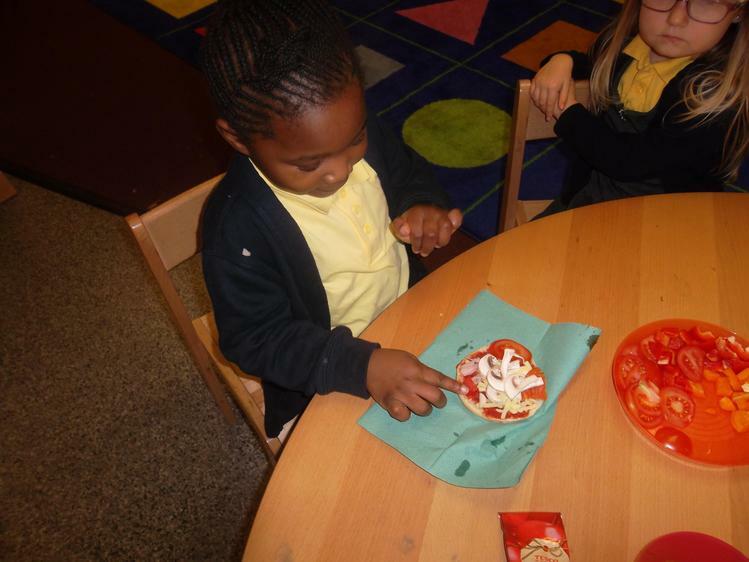 'The Very Hungry Caterpillar' By Eric Carle introduced us to our topic of food. We acted out being the caterpillar hatching from his tiny egg and growing bigger, eating lots of food then curling up into a cocoon, before transforming into a beautiful butterfly! 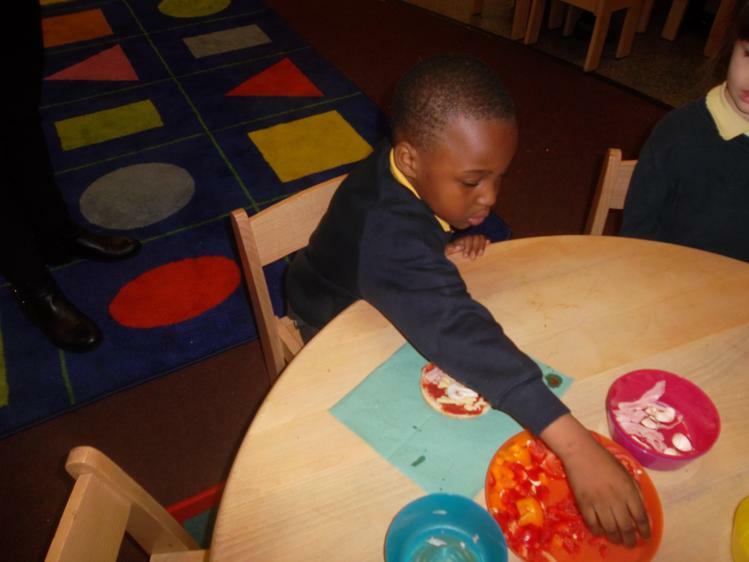 We sequenced the story and tasted all the different fruits and other foods the caterpillar ate. 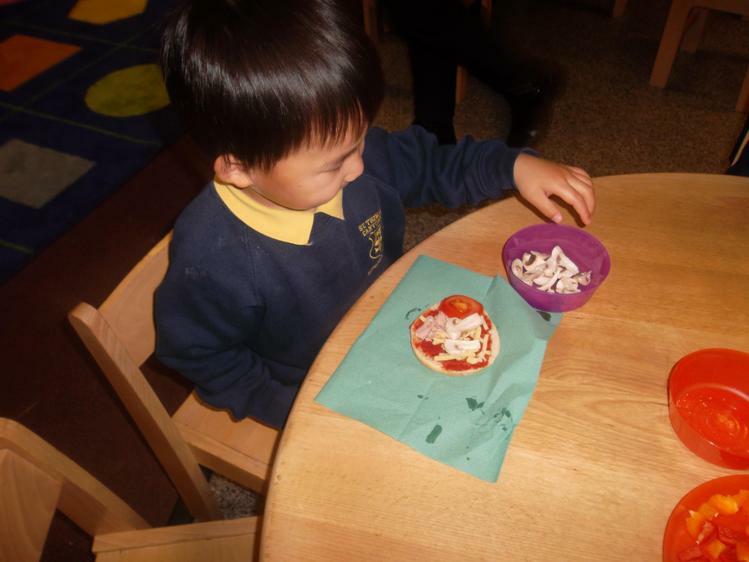 This really encouraged the children to describe the different foods and how they tasted. 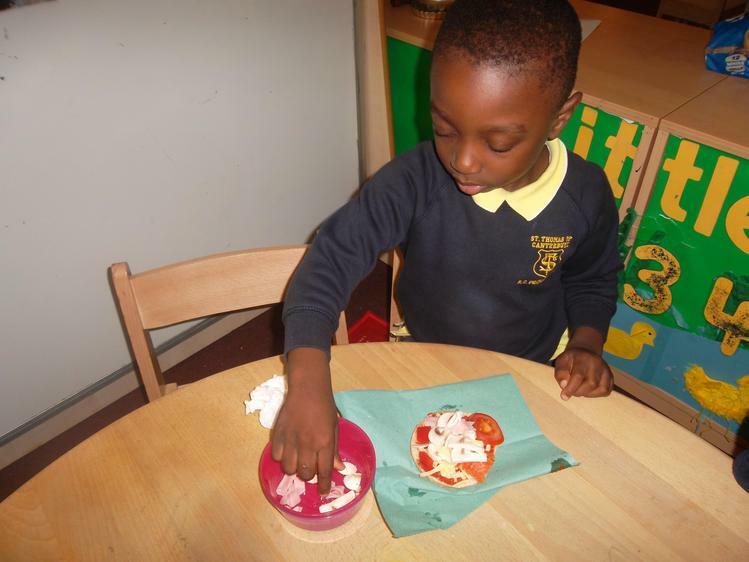 We then read 'Handa's Surprise' and acted in role as the cheeky animals taking the fruit from Handa's basket! We tasted all the exotic fruit and talked about how it felt and smelt. 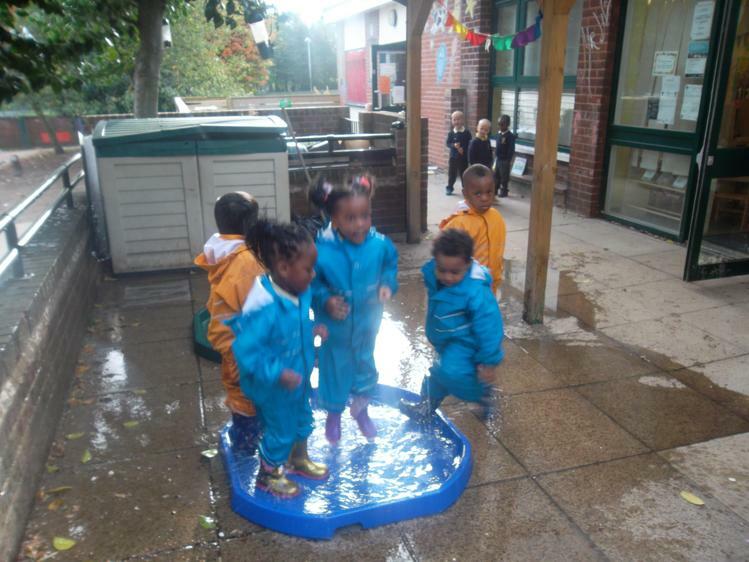 We have been watching the weather change from when we started in September. The leaves have fallen off the trees and it is getting colder! 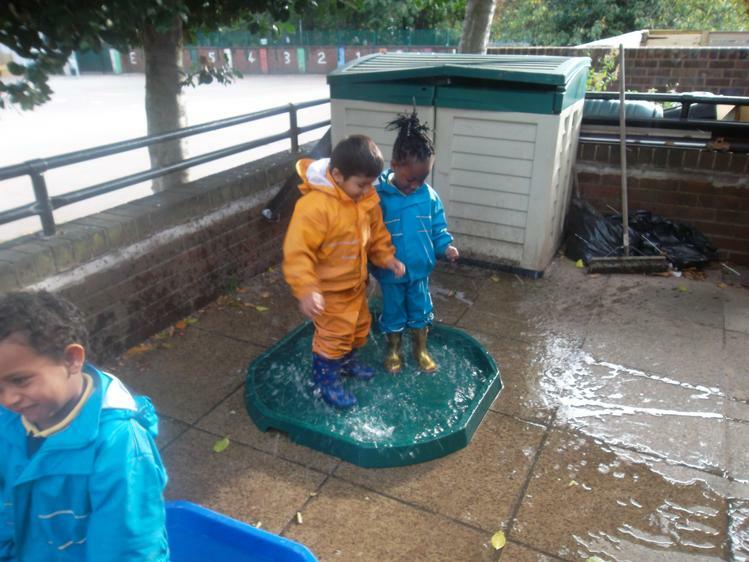 We have talked about the different clothes we wear for different weather and practised dressing ourselves, putting on our jumpers, coats, hats, scarves, gloves and wellies independently. 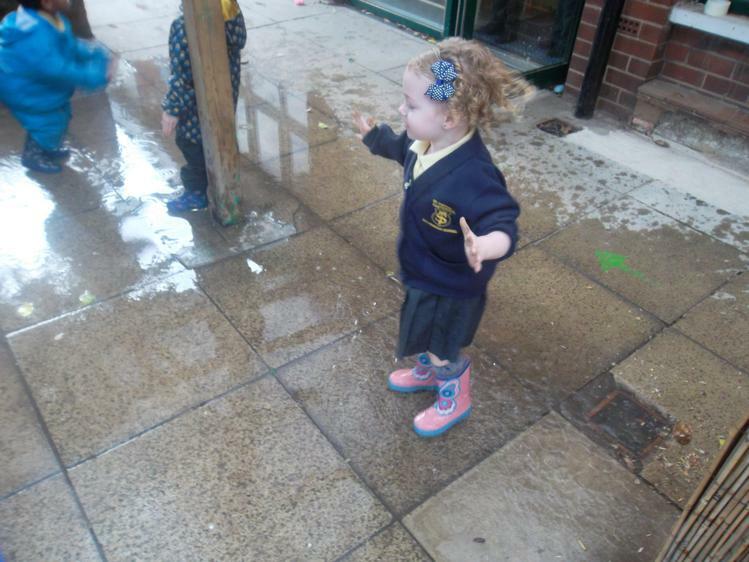 During our choosing time we have enjoyed playing with natural items such as conkers, pine cones and leaves and making different weather pictures. We rescued our small world characters who had been frozen in blocks of ice, discussing how we could melt the ice to free them! 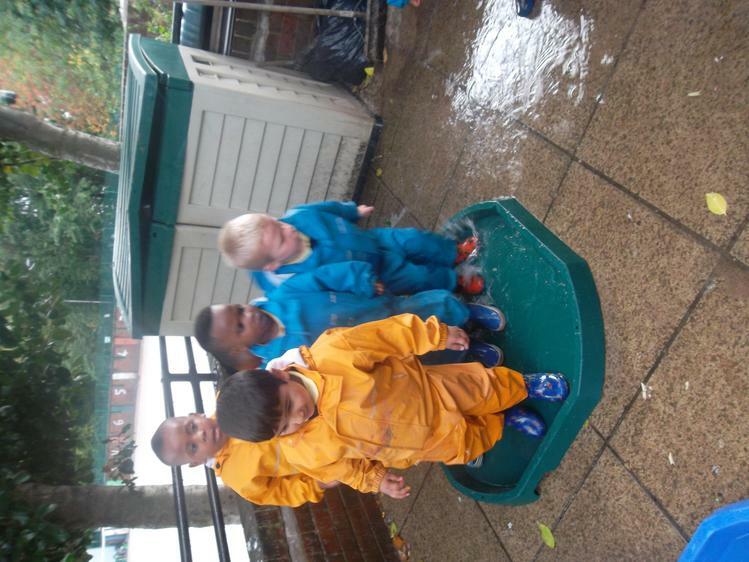 We learnt a new song 'How's the Weather' and loved acting it out using the props we made. 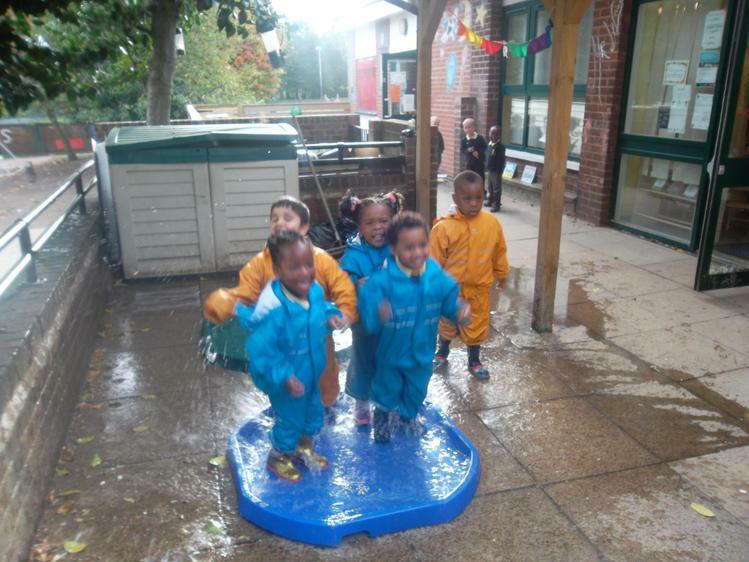 Everyone wanted to be the rain so they got to squirt everyone with the water spray! 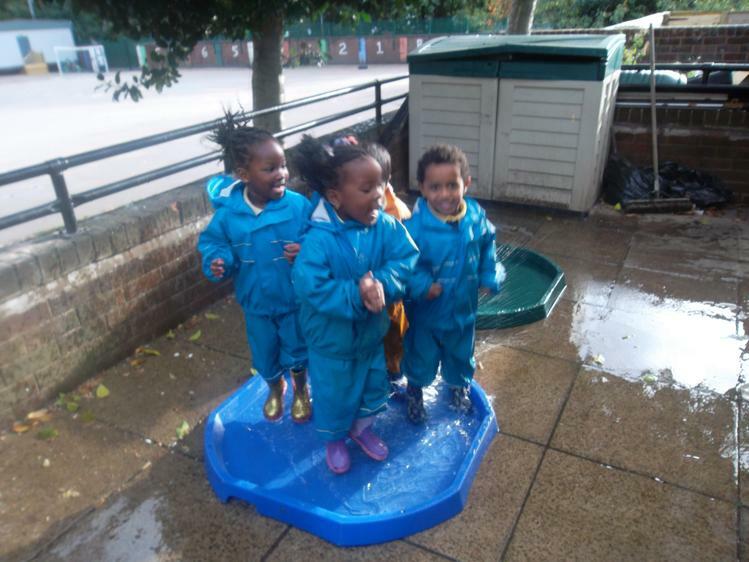 Acting it out really helped our self-confidence and the actions help our physical development-especially the water spray! We are busy getting ready for this special time of year! 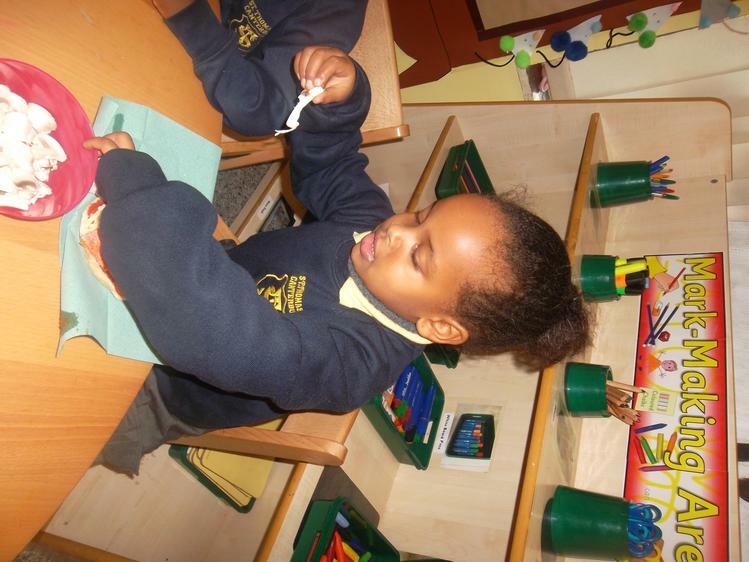 We are enjoying learning about the real meaning of Christmas and learning all about the birth of Jesus. We have a special Advent Calendar in our class which helps us count down to the special day! 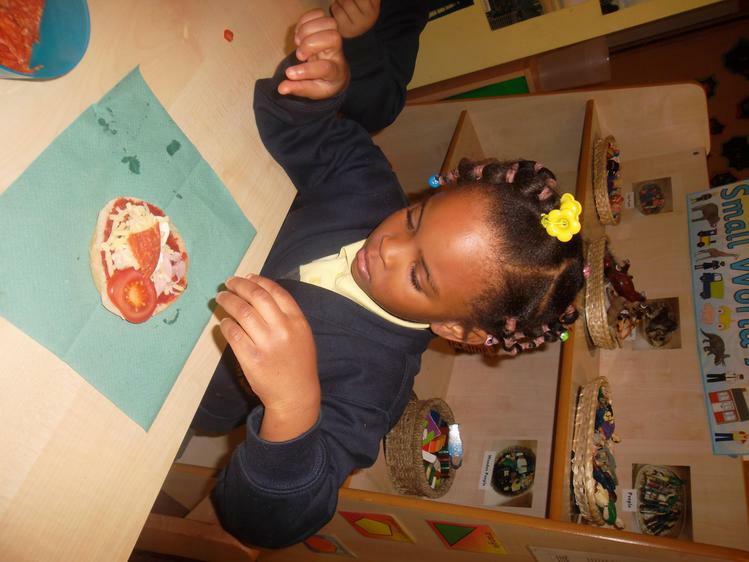 We are doing lots of lovely Christmas crafts and getting our classroom ready for a very special visitor in a red suit! We are excited about Louby Lou coming to see us and showing us some magic tricks! We have been practicing for our Nativity performance and can't wait to show you what we can do! It was great to see so many of you at our workshop! Ways you can help your child at home.